People with learning disabilities have problems accessing and using primary care services. Health care information is not accessible and understandable for people with learning disabilities. Experiences of self-directed support are uneven and people with learning disabilities are not being supported in making the right choices. Develop effective interventions to improve the life expectancy of people with learning disabilities by improving access to support for general healthcare needs through primary care and screening services. Including: working with Healthcare Improvement Scotland to gather case studies for best practice for treating patients with learning disabilities to be uploaded onto the Improving Together Interactive. This will allow GP clusters who wish to carry out quality improvement work on this area to find and share examples of best practice. Monitor and evaluate the effectiveness of screening interventions which have been funded through the cancer strategy, to improve access to screening services for people with learning disabilities. This will be taken forward by the Screening Inequalities Network which is currently being established. Invest in the development of positive behavioural support through the creation of a university post and provide direct support to Health and Social Care Partnerships to consider the findings, including the need for different models of care to bring home people identified as priority to return. 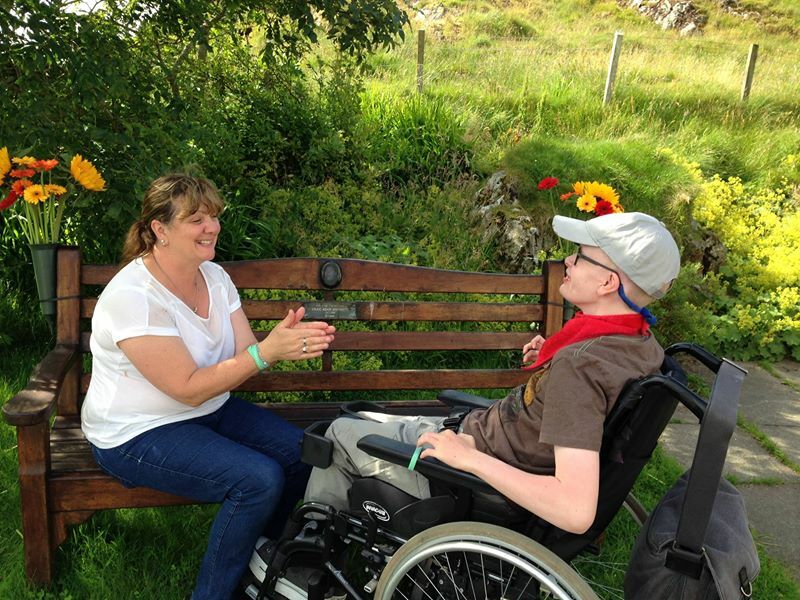 Work in partnership to ensure that people with learning disabilities are able to gain greater choice and control over their lives through self-directed support, including through The Scottish Government’s development of a new Implementation Plan for self-directed support for 2019-2021 and the associated funding of organisations offering advice, advocacy and support. Ensure the rights based approach of the new social security system in Scotland reflects the needs of those with learning disabilities with a focus on the design and testing phase of the new system. Develop guidance to support Health and Social Care Partnerships in building local learning disability strategies, to drive the delivery of The keys to life strategic outcomes and embed a human rights approach. Liam is a very active 22-year-old young man, who happens to have Profound and Multiple Learning Disabilities, due to the very rare Emanuel Syndrome, but he doesn’t let that interfere with him enjoying his life like any other 22-year-old. He has a full week of activities, including music, dance and sport. Liam attends college and has shown incredible improvement over a 3 year period in his sporting achievements, culminating in him winning 2 Gold Medals in the Special Olympic Commemorative Games in 2018. Liam believes he has more medals to win, and wishes to continue his lifelong learning opportunities. When Alexander Warren first heard about dreams he decided he wanted to spread the word about how they could support young people. After an internship at Edinburgh Development Group, he realised the best way to do this was to set up his own business, AJP Dreams. 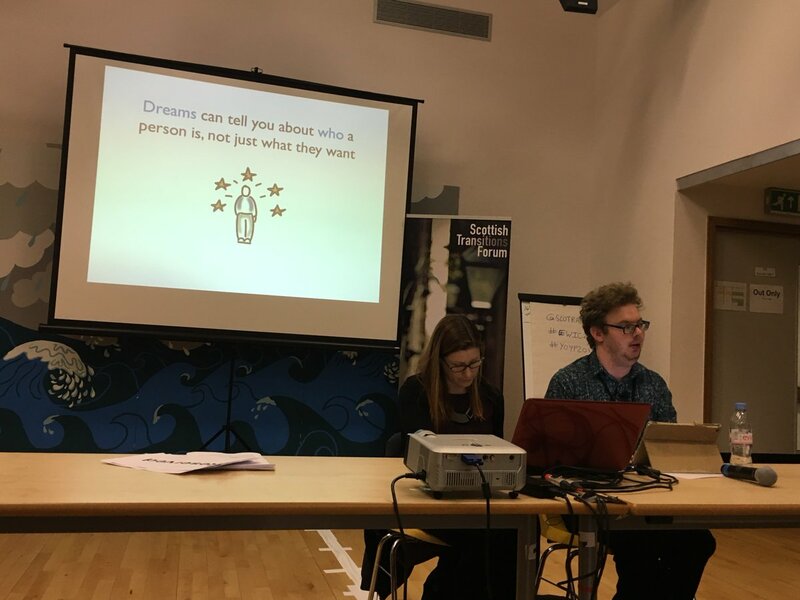 AJP Dreams provides training and consultancy to encourage families and parents, and social work and social care professionals to work hard to listen to the dreams of young people and help them to follow and achieve them.